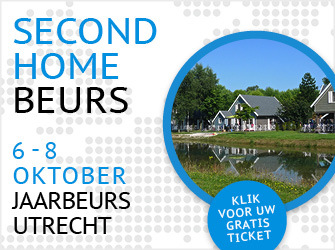 If you're ready for a new journey in life, and finding your delicious place in the sun is it - we invite you to meet us at the Second Home Expo in The Netherlands! UTRECHT, Netherlands - Oct. 2, 2017 - PRLog -- Been hearing the new buzz about living and buying real estate in Portugal? Want to get the real story on what is happening in the country and how you can invest wisely in a property to live, holiday, retire, or have as a rental investment? Then don't miss this opportunity to get informed. October 6th-8th, 2017, our team of industry professionals will be at the Second Home Expo at the Jaarbeurs Utrecht in the Netherlands. Here you will be able to delve into the rich subjects of financing, taxes and legalities to practical advice on day to day property management and local culture. This invaluable information will be on the lips of our team who are all well steeped in these subjects, being expatriates themselves who've been living in the country for many years. The Portuguese real estate market is changing and currently one of the fastest growing in Europe. Portugal is also internationally recognised as one of the most peaceful places in the world to live, best place to retire and has a quality of life like no other. These key factors, amongst others, are increasing Portugal's real estate investment profile and attracting savvy buyers along with wise investors, like never before. The Portuguese government has also put a number of residency schemes in places such as the Non Habitual Residency and a Golden Visa program, all worth investigating as you decide on your future and financial planning. If you're thinking it's high time you get yourself a place in the sun, then come talk to us at The Second Home Expo this weekend and get precious advice from those who know it best! Earn 7% Guaranteed Return on Invests Annually with Ideal Homes! Ideal Homes International are Expanding their Team! Get on the Great Escape Tour with Ideal Homes!